If you’re lucky enough to live in a location where the seasons change, the fall can be one of the most beautiful times of the year with its falling leaves and harvest sunsets but winter can be unpredictable with cold breezes one day and warm air the next. 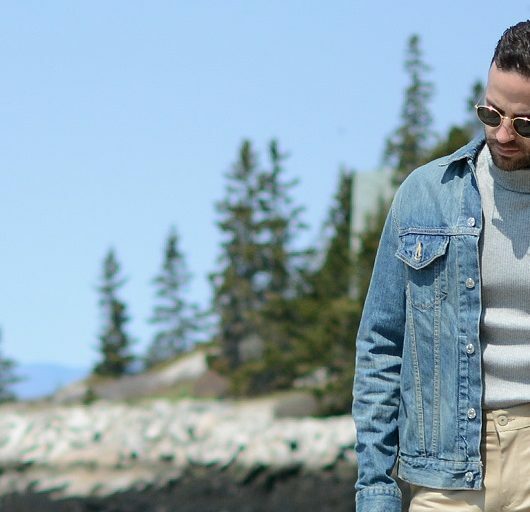 It’s time to round out your jacket collection with versatile pieces that work just as well in the fall as they do during these cold winter months. Here are some of our favorites that will help you stay warm and look cool this month. 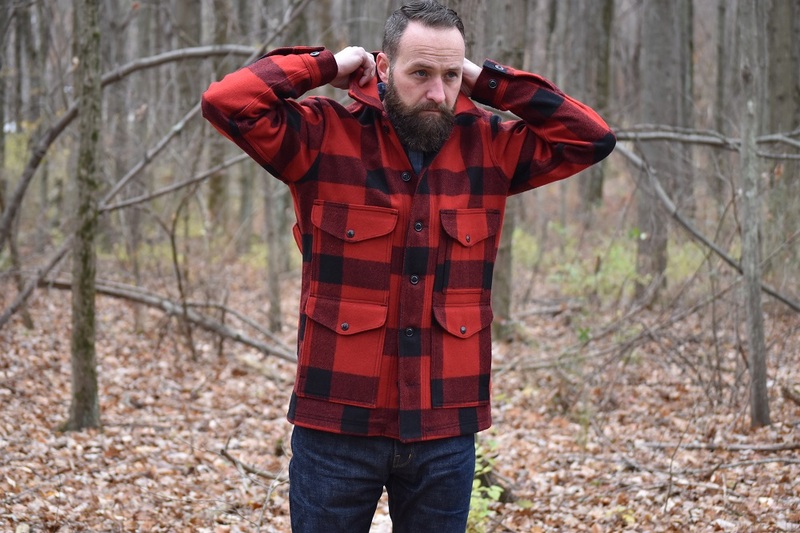 Based in Tennessee, Alpha Industries isn’t just military inspired gear. It’s literally the original. They’ve been building field jackets, parkas, and flight jackets for the military since the 1950’s. The M-65 was first introduced in the 1960’s for the government as an upgrade to the M-43 and M-51 field coats that were used in WW2 and the Korean War. 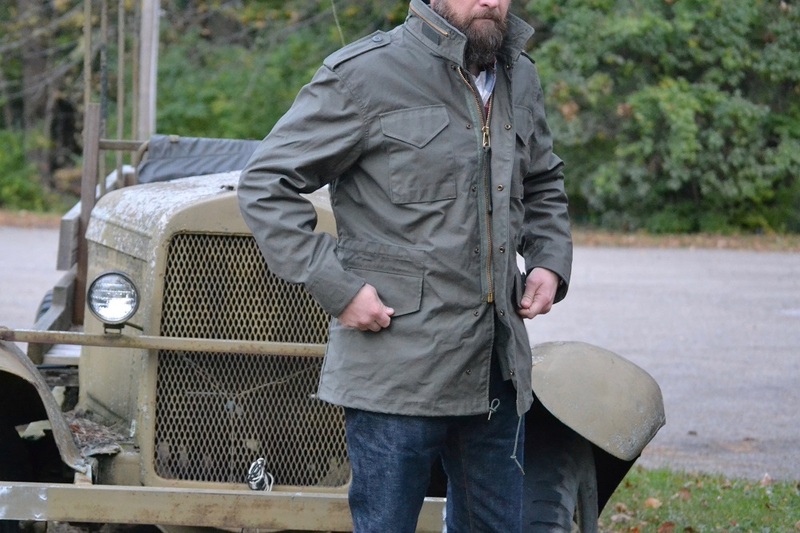 The M-65 features a built-in hood that is rolled and hidden in the collar, two shoulder epaulets, there are four external pockets and two internal pockets for plenty of storage. 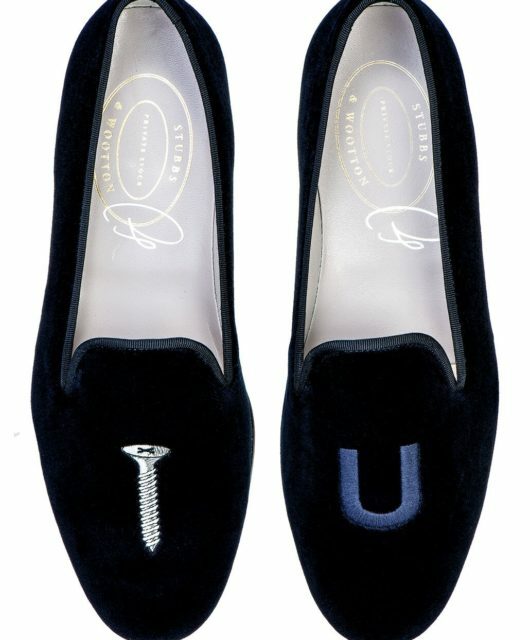 A heavy duty brass zipper replaced previous button-up models but there are snaps as well. The velcro on the sleeve openings allows for wearing with or without gloves. I’ve owned cheaper versions of field coats from other companies but this one is the ultimate in quality and originality. The fabric is heavy duty and it will withstand a lifetime of hard use. There are draw cords around the waist and bottom trim to “batten down the hatches.” I chose the slim-fit in Olive but it’s available in Black and in a fuller cut as well. 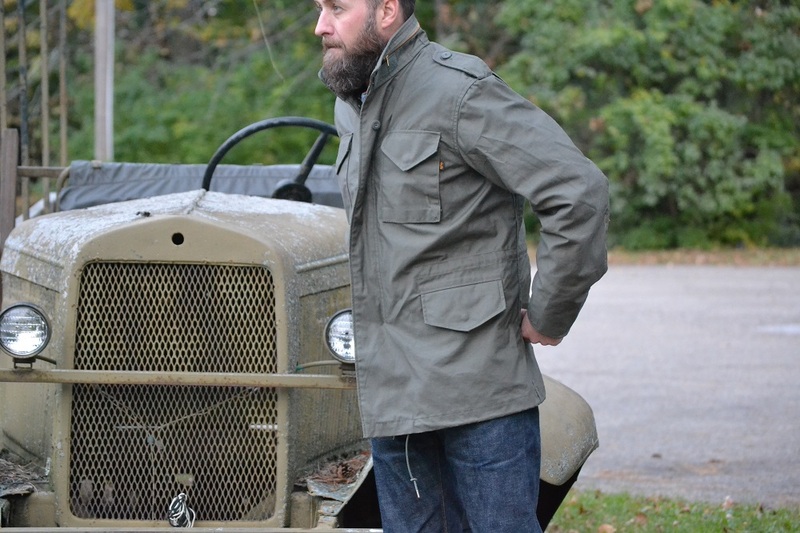 The standard M-65 cut comes in khaki, navy, black, olive, and camouflage. 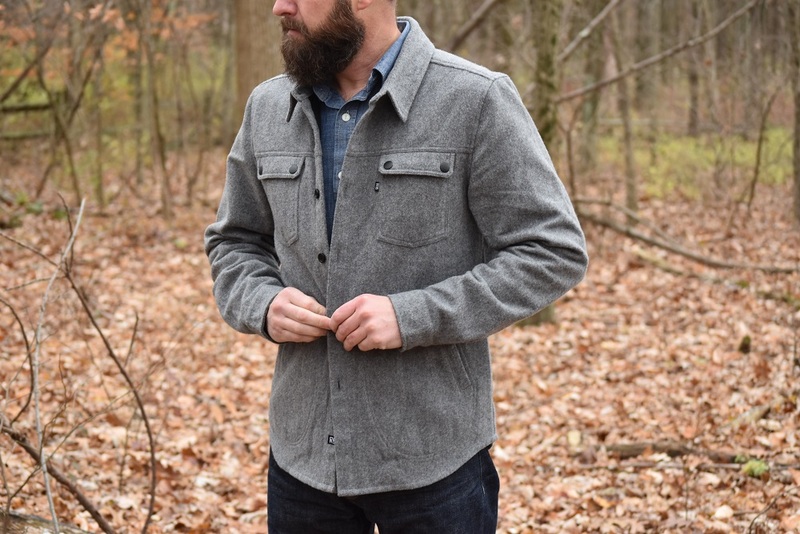 Check out their detachable M-65 Liner ($65) for a quick button-in option to make this a much warmer and versatile winter coat as well. This one is a bonafide workhorse with the liner installed. Shockoe is one of my favorite small brands based in Richmond, Virginia’s historic Shockoe Bottom neighborhood. Shockoe Bottom was once a bustling center for tobacco and cotton traders and their showroom is more like an art studio where anyone can watch their product come to life among the hum of sewing machines used by their denim artisans. Their new chore coat is part of a limited edition and packed with handmade details. 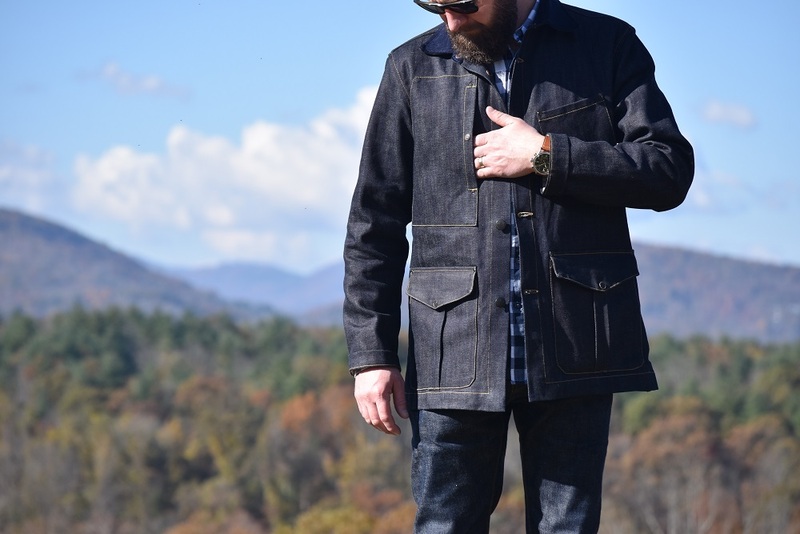 It’s made of 12.5 oz raw selvedge denim from Candiani Mills in Italy. Translation: It’s real good stuff that is meant to last. It features a dark indigo warp and beige tinted weft (fancy weaving terms that means it’s woven to perfection). It’s all about the details with this jacket. Shockoe is meticulous with their craftsmanship. Their tobacco leaf logo is emblazoned on both sides of the copper buttons, which are finished in black and backed with leather. The single-needle contrast stitching outlines everything perfectly. Besides the pure craftsmanship, the pockets are the stars of the show. There are two pleated cargo pockets, a drunken chest pocket, and a super cool map/document pocket. The navy corduroy collar and side waist cinch add interest and contrast to the entire look. This jacket stands out in a crowd. Filson has been one of my favorite brands since forever, which is about how long they’ve been around. Founder C.C. Filson was born in 1850 and started the company in 1897 during the Great Klondike Gold Rush. 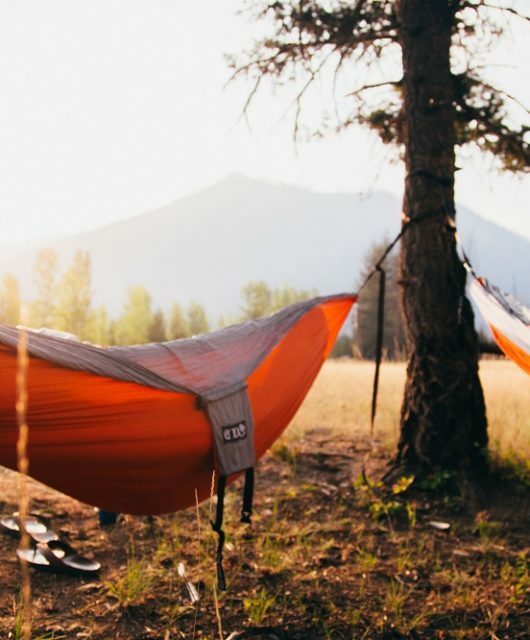 Based in Seattle, the company embodies the pioneering spirit and outdoor life. 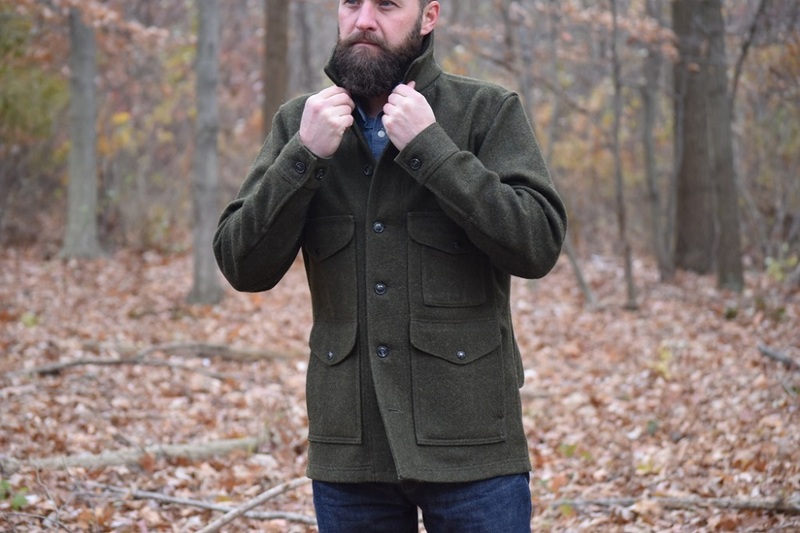 This iconic wool cruiser jacket was patented in 1914 and is made of 100% virgin wool. It’s made for comfort and it’s naturally rain repellant. Wool is the original performance fabric, wicking away moisture with fast drying capabilities when wet. It’s super insulating for warmth in any weather condition. 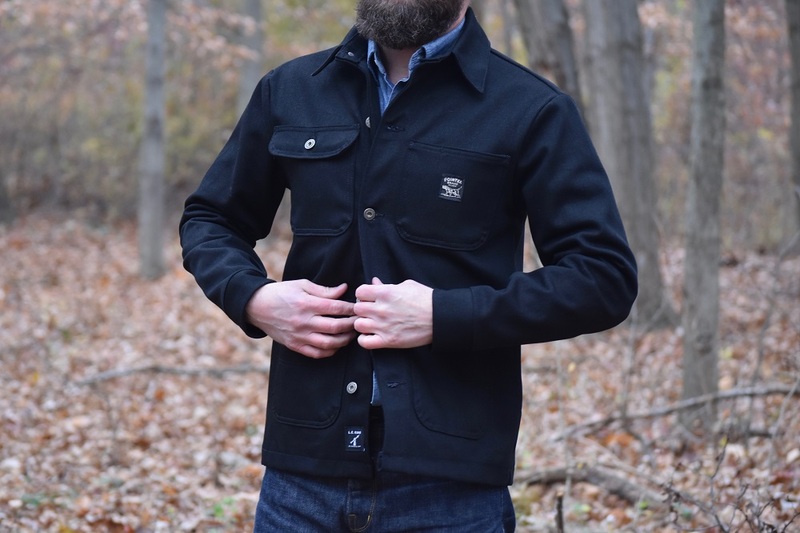 The cruiser jacket has adjustable cuffs to keep body warmth in and military-grade melamine buttons for added durability. Best of all, it has nine pockets for storing tools, accessories and gear of all sorts. It’s a true tool for any rugged outdoorsman. My favorite feature are the cruiser pockets; two rear pockets that connect in the middle for larger cargo (or small game if you’re brave enough). My favorite colorways are the Otter Green and the Red Black Plaid. Pointer Brand is the flagship brand from parent company L.C. King Manufacturing in Bristol, Tennessee. 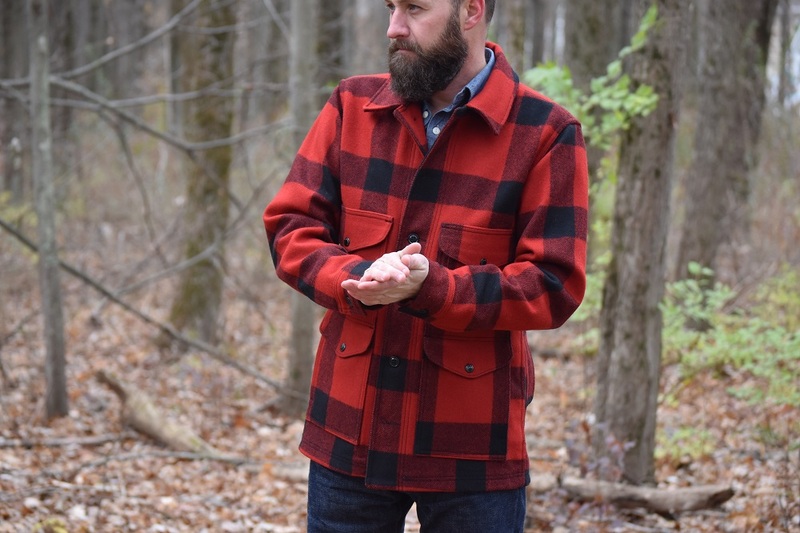 Landon Clayton King started the business in 1913 to fill a need for tough durable workwear that could withstand the rigors of a day in the woods, farm, or field. It’s currently the oldest family owned cut and sew facility in the United States and is owned by Landon’s great-grandson Jack. King raised champion bird dogs in the foothills of the Appalachian Mountains and brought the same standards to producing his garments as he did while training his dogs. 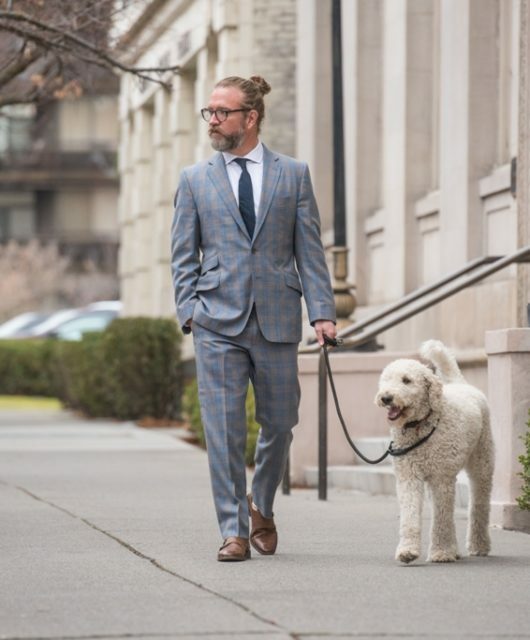 The company name was inspired by his dogs’ ruggedness, character, and style. The iconic dog logo is on a patch on every Pointer Brand garment. The company has now been passed on from father to son for four generations. How’s that for pedigree. 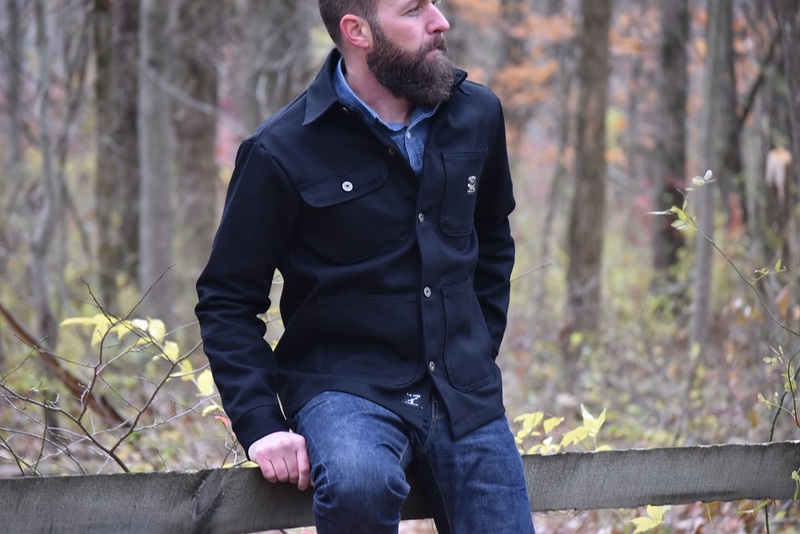 Known for their Denim Chore Coats and their Brown Duck Canvas Chore Coats, this new Black Denim Chore Coat puts a new spin on the look. 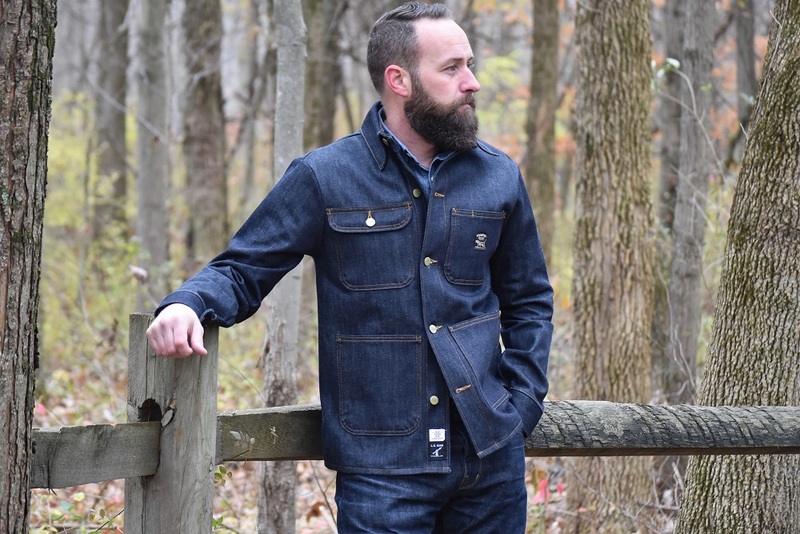 It’s made of 100% cotton 12 ounce American Denim from Mount Vernon Mills and features their usual four top-loading patch pockets, one of which snaps. I dig the antique nickel LC King donut buttons down the front, the pocket, and on the cuffs. The Black Dog label is unique and different than their other Pointer Brand logos. 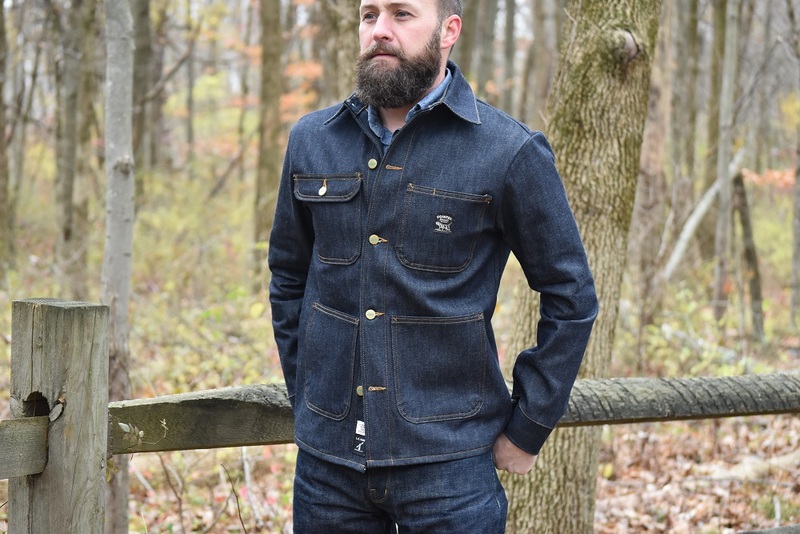 The Black Denim Chore Coat was made in ultra limited quantities, so if you dig it you should act fast before they’re gone. 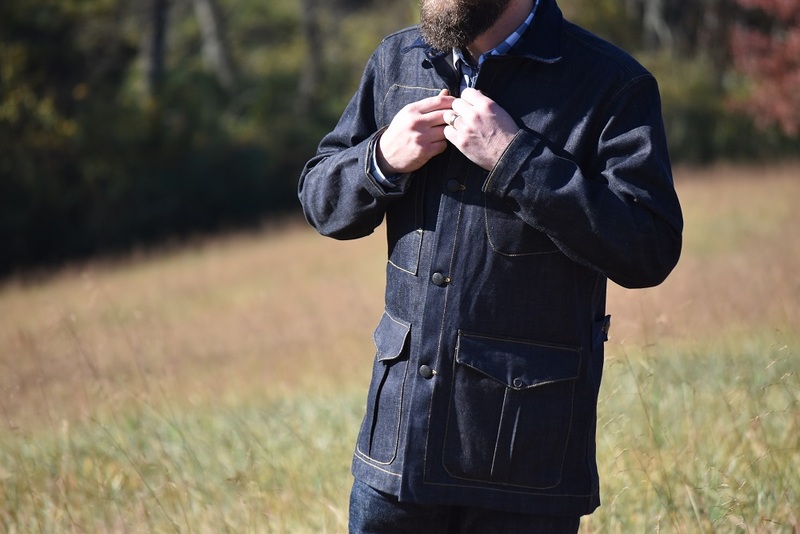 This raw indigo selvedge denim coat is made of 100% cotton from Cone Mills White Oak in North Carolina. It has four of Pointer’s classic top-loading patch pockets, one of which snaps. I dig the brass buttons with the Pointer name in green paint for a unique touch. It’s designed with a three piece back split panel to allow a selvedge reveal at three separate locations. 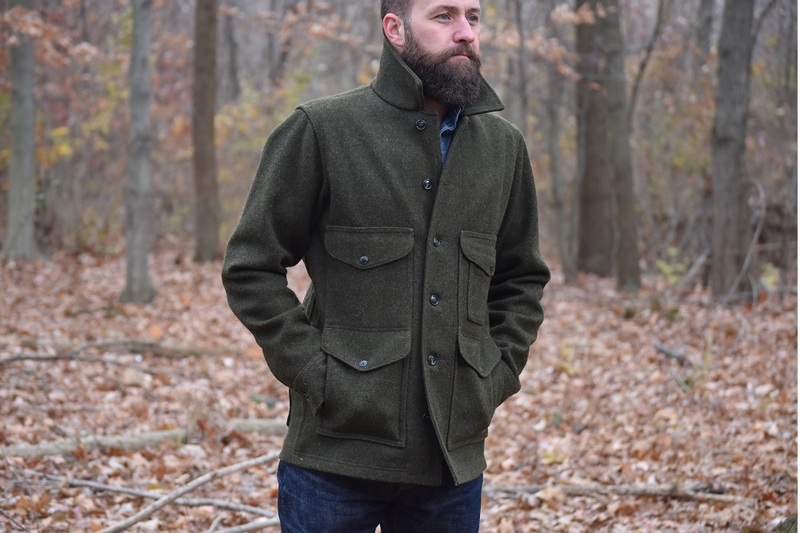 This coat is sold in its raw form and is unwashed, unprocessed, and unaffected. 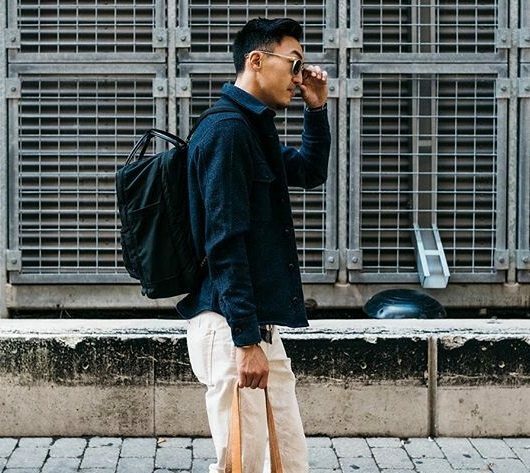 It is tough enough to cut through briars in the woods and fields, but stylish enough to transcend workwear into street style as well. It works great with a pair of raw denim jeans or duck canvas pants for contrast. Perfect for December days that start out cold and warm up as they go on. Wolf and Man is a fair trade, independent, and family owned business from Los Angeles, California that was started in 2013. They focus on minimalist and modern streetwear design for men. Right now the line consists of tops, hats, t-shirts and jackets. In December when you aren’t sure if you need a full on jacket or a heavy shirt it’s time to call in the shacket. Yep. I said shacket. 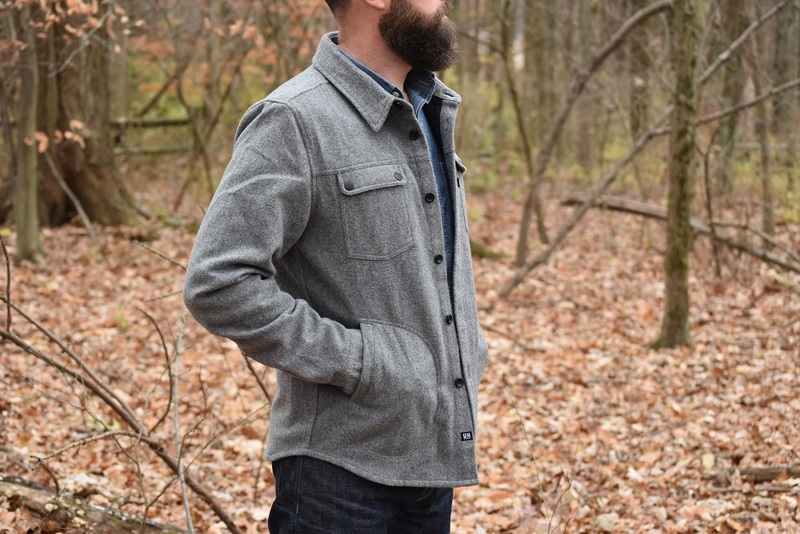 Made of medium weight wool this is the perfect shirt-jacket. Great for layering, or on it’s own, it has two front external pockets with finished front snap buttons. It’s fitted so it doesn’t look sloppy and hangs just right and can act as a base layer with one of the other jackets mentioned in this write up. Great for the office or travel because it’s lightweight and packable. Wool is one of the earliest performance fabrics, keeping heat in while being breathable and very quick drying. I dig the heather grey and the clean lines.